If you are a new user, please click on the button below and register using the PIN code inside your book. 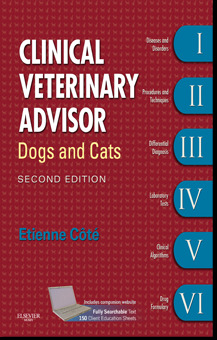 Welcome to the companion website for the second edition of Clinical Veterinary Advisor: Dogs and Cats by Etienne Côté. Here you will find a wealth of resources, including the entire text of the book in a fully searchable format, plus an extensive database of images and videos, expanded reference lists for all Diseases and Disorders chapters, and additional chapters, tables, and algorithms as bookmarked in the printed textbook. You will also find over 150 Client Education Sheets in both English and Spanish, including 51 of our new "How-To" Client Education Sheets. These helpful documents provide clients with specific information for how to carry out discharge instructions and monitoring at home, including advice for troubleshooting and answers to frequently asked questions. Thank you for visiting the website. We hope you will find it complements the hardcopy edition of the book and is an equally invaluable resource. The online version of the 2nd edition of Clinical Veterinary Advisor: Dogs and Cats is no longer available. Current registrants will continue to have access to the third edition website for the remaining duration of their subscription. Buy the new edition today! Section I: Diseases and Disorders provides at-a-glance coverage of more than 800 common medical problems, arranged alphabetically for immediate access. Entries include a definition, synonyms, epidemiology, clinical presentation, etiology and pathophysiology, differential diagnosis, workup, treatment, prognosis and outcome, plus pearls and considerations. Concise descriptions simplify diagnosis and treatment. Section IV: Laboratory Tests summarizes essential information needed for interpreting 168 lab tests. Section VI: Drug Formulary is a compilation of dosages and other relevant information for more than 500 new and current medications. 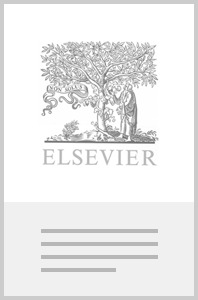 Copyright © 2011, 2007 Mosby, an imprint of Elsevier Inc. All rights reserved.